New Holland, Pa. (August 29, 2017) – New Holland Agriculture honors its 100 years of innovation as its legacy continues to inspire the future, with advanced technology designed for efficiency and productivity, including the Autonomous Tractor, Alternative Fuels Concept and Tier 4B compliant models. 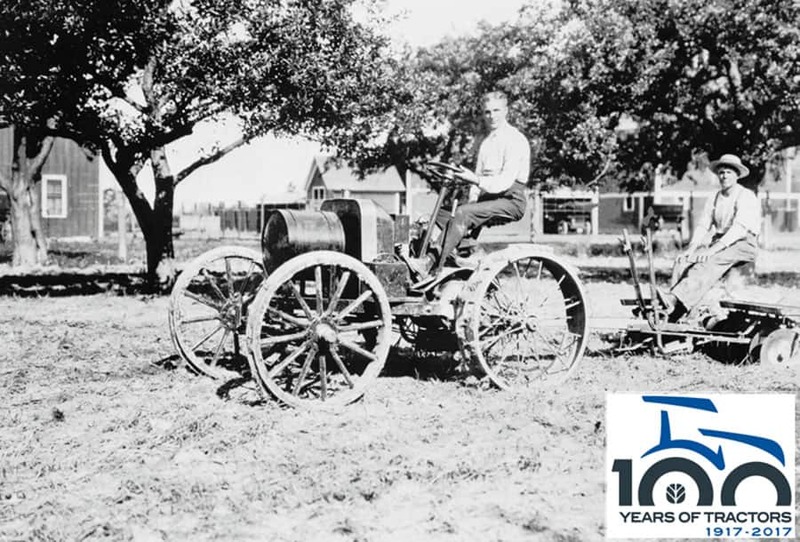 October 8, 2017 marks the 100-year anniversary since the completion of the first Fordson model 22 tractor shipped from the United States to the United Kingdom. Following the landmark date and given the high demand for tractors due to war and severe food shortages, lack of manpower and horses, the first Fordson tractors were sold in the United States in April 1918 for $750. Twenty-two years after the introduction of the Fordson 22, the Ford 9N was released in October 1939, serving as the first American-made production model tractor to incorporate a three-point hitch system, a design still used on most modern tractors today. One very special 9N, the purple Survivor tractor, was purchased by New Holland in November 2016. It has since been traveling the United States, making appearances at New Holland dealers and attending corporate events, such as the Farm Progress Show, raising funds to support the American Cancer Society and the Canadian Cancer Society. It is a way for New Holland to celebrate its heritage in tractors while providing hope for the future. Always striving for a more productive future, New Holland has debuted a wide range of high-horsepower tractors with state-of-the-art engine technology for unrivaled power, fuel efficiency and control that have built upon the foundations of the Fordson 22, the 9N, and other classic tractors. These new, high-powered tractors include the T7, T8, and T9 series tractors ranging from 110 to 620 PTO horsepower. New Holland’s mid-range tractors, ranging from 70 to 125 PTO horsepower offer the versatility, performance and comfort demanded by livestock and mixed farmers followed by compact and utility tractors providing operating ease that satisfies the needs of farmers, landscapers and estate owners everywhere. New Holland’s tractor offering also expands to special use tractors, putting big power into the narrow rows of orchards, vineyards and nut groves. From the icons of farming past, to recent innovations, farmers around the globe continue to benefit from New Holland’s modern agricultural advances, and New Holland Agriculture will continue to shape the sustainable future of agriculture as the company embarks on its next century of tractor excellence. New Holland Agriculture announced today the new GENESIS® T8 Series tractor with Precision Land Management (PLM™) Intelligence (New Holland’s intuitive precision farming platform) built in-house from the ground up.